I would like to announce the recipient of our first Tweed Pig Laureate: the Italian actor, Toni Servillo. Congratulations Toni. A round of applause please, gentlemen. How we all enjoyed his performance in The Great Beauty. After watching his performance in The Consequences of Love recently, the award seemed obvious. As well as being one of the best smokers on celluloid, Toni — of Afragola, Italy — chooses his films and directors well. Paolo Sorrentino directed The Great Beauty and The Consequences of Love. Both films are staged and shot beautifully, and have a visually meditative quality, with isolated protagonists, played wonderfully by Servillo, who have difficulty reconciling the certainties of the past with the fragmentary nature of the present. 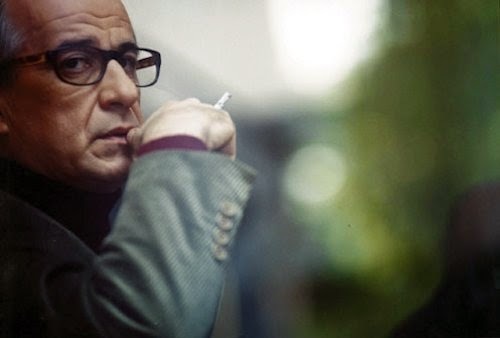 Italian cinema seems the most grown-up of contemporary cinema, particularly with the work of Sorrentino, who is fast becoming our favourite director. (Another Tweed Pig Laureate in the offing?) 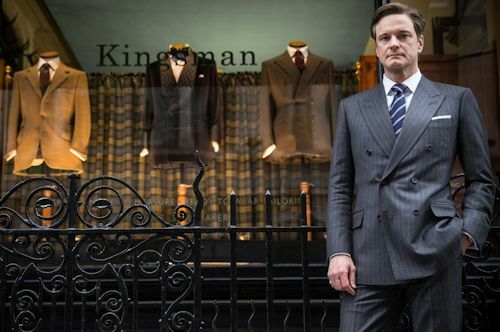 Too many films are coming out of America about adult men behaving (and dressing) like children. I'm looking at you Seth Rogen. You can see the clothes of Titta here. 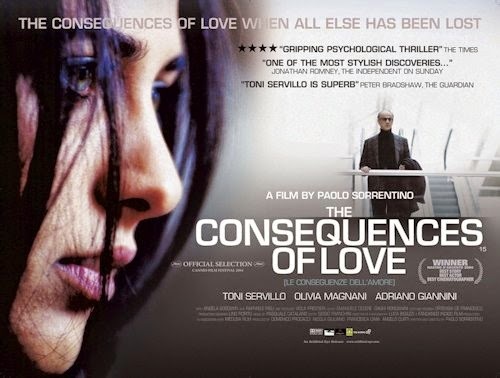 In The Consequences of Love (2004) [Amazon], Servillo plays Titta di Girolamo, a resident of a hotel in Lugano, Switzerland. He is a detached observer, rather than participant, of life being lived around him. Of his withdrawal, Titta reflects, "Shy people notice everything, but they don't get noticed." We witness Titta's quiet routines, such as his daily coffee and cigarette in the reception of the hotel, and other less savoury rituals. However, traces of the former life that brought him to this point are revealed; the estrangement from his past becomes apparent. He is suffering a life of concealed purgatory. Salvation — or perhaps redemption — comes to Titta when he decides to rejoin the living. A waitress at the hotel — confronting him on his failure to acknowledge her — finally lifts him out of his apathy. With echoes of Mann's Death in Venice, Titta makes his choice — rejecting the solitude of his existence and embracing the consequences of love. Right now I think this is an even better film than The Great Beauty. Do see it, and you'll see why we chose to hurl laurels over Toni's head. Tweedy's Thought: If you would like to nominate someone deserving of a 'Golden Pig', the new informal name for these awards, please get in touch. No one noisy or who swears a lot, please. Let's not let this idea wither on the vine unless it's palpably terrible. elevator tailoring chat with "one of the 10 most wanted men". I adore this actor. Seen five films now. Thanks Anon. I recall the scenes, but I didn't spot a jump in character. I'm not an Italian speaker, so this might not help. When I watch again I'll let you know my thoughts. All the best, Tweedy. Thanks for the heads up on The Consequences of Love, just purchased it from HMV on your say so. Another addition to my Italian film library, looking forward to watching it later. Sorry David. I've just noticed I referred to you as Anon. We have almost exclusively Anons commenting. Please excuse my mistake. Tweedy. Grazie. I've watched the film a couple of times now and it's good. It was interesting to see the Titta di Girolamo character's changing emotions and development by his facial expressions. 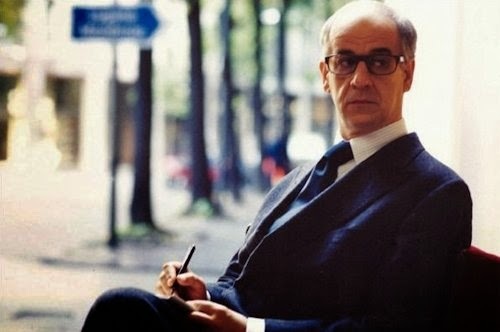 After watching The Great Beauty and this Servillo has rapidly become one of my favourite actors. I can only find this film on Amazon with a French or Italian subtiltes. My own grasp of the Italian language isn't good enough yet to watch this in its native tongue. Church's Shoes - Coming Home?